Once you have a plan in place, achieving your financial goals involves some discipline and a small amount of sacrifice. Once the habit is built however, most people find they are easily able to meet their savings commitments. Good money management by definition requires you to spend less than your income. By avoid spending on short term pleasures, your longer term financial future is much more assured. It’s what you keep that will set you up for long term financial success. There are many options for where you can put your money. A great place to start is by researching various savings accounts to find one that has low to no fees and pays a good interest rate. Also check for accounts that pay bonus interest based on deposits. It is also a good idea to have a different account keep your savings separate from your daily transaction account. This helps to avoid dipping into your savings, and also provides a real motivation boost as you see your savings grow. Emergency account – this is where you build a surplus fund to cover for 3 to 6 months’ worth of expenses. The money can be used to cover unexpected events such as unemployment or illness, should you not have insurance cover in place. Reward account – this is where you save a small percentage of your income to treat yourself, such as an overseas holiday or new car. Rewards also keep you motivated to save consistently. Growth account – this is where you are saving towards wealth building activities. For example, saving for a deposit to buy an investment property or building a share portfolio. More investment opportunities will open up for you when you have money to invest with. Some people target a goal is to save at least 10 to 15% of their total income each year. This will depend upon your financial plan, and may involve different ways of saving including fast tracking mortgage repayments or additional funds into super. Whatever amount you pick, establishing the habit and automatic bank transfer is the easiest way to ensure you make your savings grow. Once you adapt to living with less money, slowly increase the percentage you save. Pay your savings first and automate the process. Set up an automatic transfer to redirect some of your income into your savings account whenever you get paid. Creating a savings habit is vital to your success. Keep your savings out of reach. If you have a home loan, you can keep your savings in an offset account to reduce your interest. Together with fortnightly payments, you can achieve real savings on your mortgage. 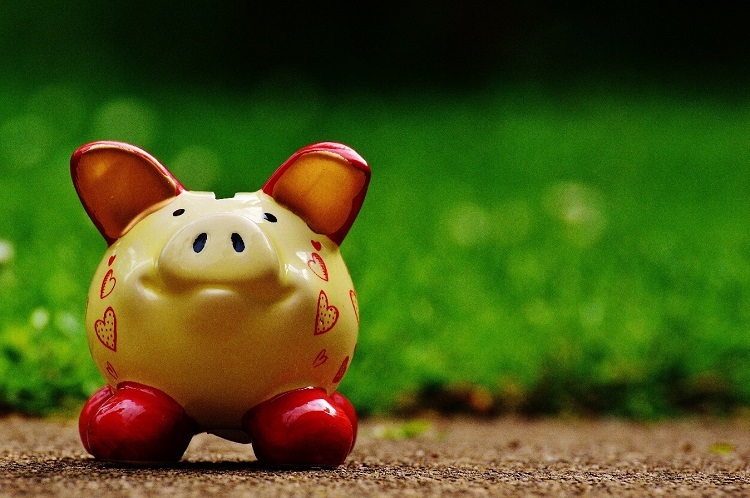 Salary sacrifice to save more money through your super. This can be a very tax effective approach. Direct any payouts and bonuses into your savings account rather than earmarking it for spending. Pay off credit card debts. Try negotiating a better rate or take advantage of balance transfer deals that offer you an interest-free period. Declutter your home and sell off the things you don’t need. You may find you can add several thousand dollars to your savings quite easily. Invest in yourself and become more valuable by upskilling. You will increase your earning potential when you can add more value to your employer or clients. The most common reasons that disrupt a savings routine is the lack of discipline or unforeseen events. Automating your savings process ensures you are saving consistently. For unexpected events like illness or accidents, having adequate insurance will keep your savings goals on track. An insurance payout (depending upon the policy chosen) can cover your daily expenses while you focus on recovery. A powerful way to grow your savings is through compounding. This refers to earning interest on your interest, and it’s a strategy that is most effective over a long time frame. For example, contributions into your super account are invested in assets that generate interest. The interest is reinvested and gets compounded with each cycle. Given enough time, your principle amount plus interest will grow exponentially. This is why you need to start saving and investing as early as you can. Even small amounts can grow substantially in later years. A budget is a plan that shows the money that comes in and how your money is allocated to each category of expense. There are also many mobile apps available to help you budget and keep track of your expenditure. Knowing where your money is going allows you to identify where you’re spending the most and also discover areas you can cut back on. Know exactly how much money is coming in. Categorise all your expenses. You’ll have fixed expenses like rent or mortgage payments, and variable expenses such as clothing and entertainment. Decide how much you need to spend for each category and how much you need to save each month. Assess your expenses, particularly those in the variable categories as you’re more likely to find opportunities to cut back and save more. Track your spending and make sure you stick to the plan. Review and adjust your budget as needed. Budgets are useful for helping individuals and businesses to manage cash flow and measure financial performance. A budget review should be done at least once a year to update any changes in your circumstances. If you want to create a great savings plan, contact Moiler for guidance on developing a budget to help you achieve your financial goals. This document has been prepared by Moiler Associates Pty Ltd, an Authorised Representative of Count Financial Limited ABN 19 001 974 625; AFSL 227232 (“Count”) a wholly-owned, non-guaranteed subsidiary of Commonwealth Bank of Australia ABN 48 123 123 124 and is for general information only. The presentation has been prepared without taking into account your personal objectives, financial situation or needs. You should assess whether the information is appropriate for your needs and consider talking to a Count Authorised Representative before making any investment decision. The relevant PDS should be considered before making a decision about any financial product. The information is provided as an information service only and does not constitute financial product advice and should not be relied upon as financial product advice. 9 July 2018.